This paper presents a new perspective on the Lucas-Penrose arguments, which attempt to connect Gödel’s incompleteness theorems to the thesis of mechanism in the philosophy of mind. 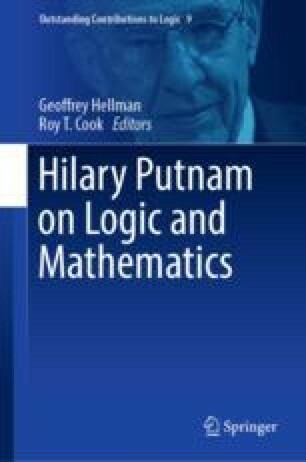 I begin by taking a close look at Hilary Putnam’s own response to Lucas-Penrose, which is widely taken to be decisive. I shall largely concur, but there is more to be learned. I will suggest that certain non-monotonic models of mathematical reasoning significantly alter the philosophical context for these arguments. I go on to describe a structural constraint on the rational coherence of the alternative cognitive evolutions allowed by these models. In the presence of that constraint, it is shown that if the evolutions allowed by such a model are mediated by an effective rule of revision, then the model is incapable of capturing certain inductive inferences of the most elementary kind.